When it comes to goals and aspirations, everyone is unique. 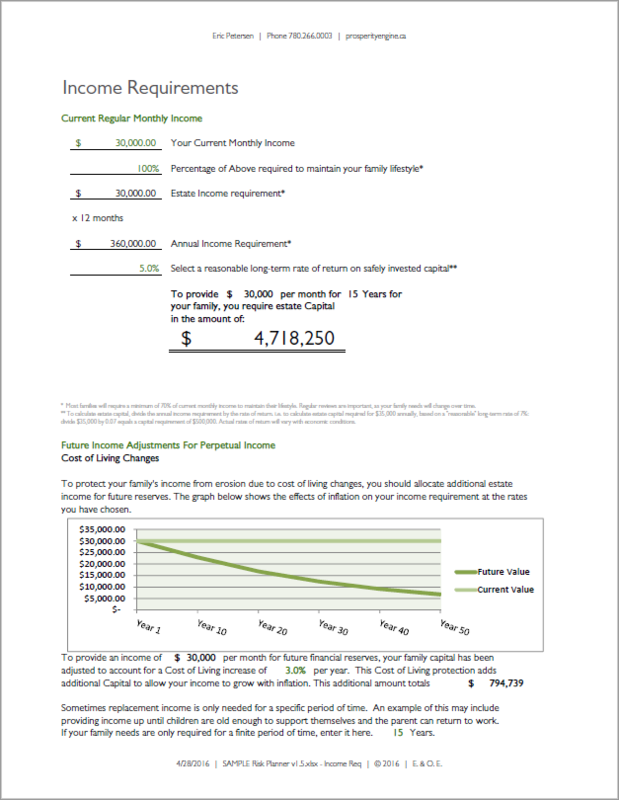 In this light, a financial plan will look different to different people. And it needs to. There is no one-size-fits-all. I use a simple framework that can accommodate many unique situations. 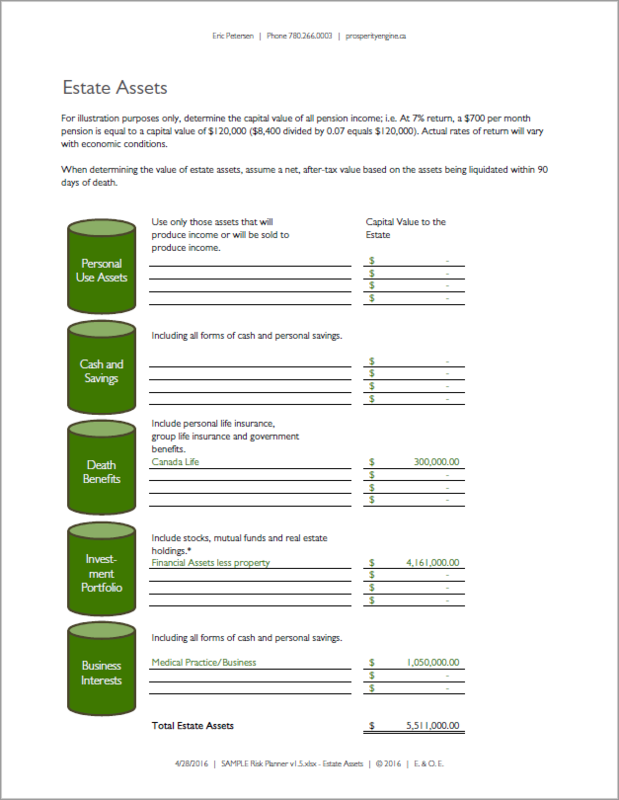 This way, the financial plan adapts to you and your individual needs. 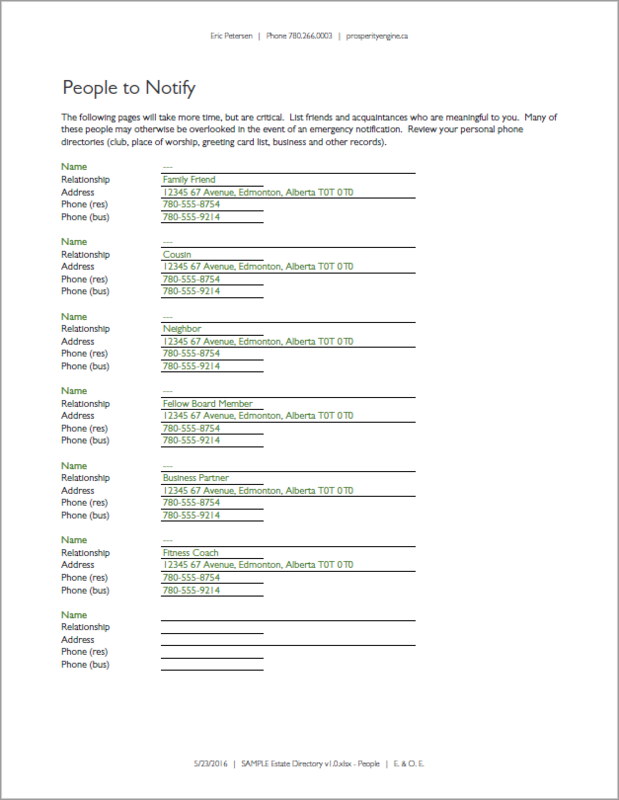 The Estate Directory – A simple list of important people. 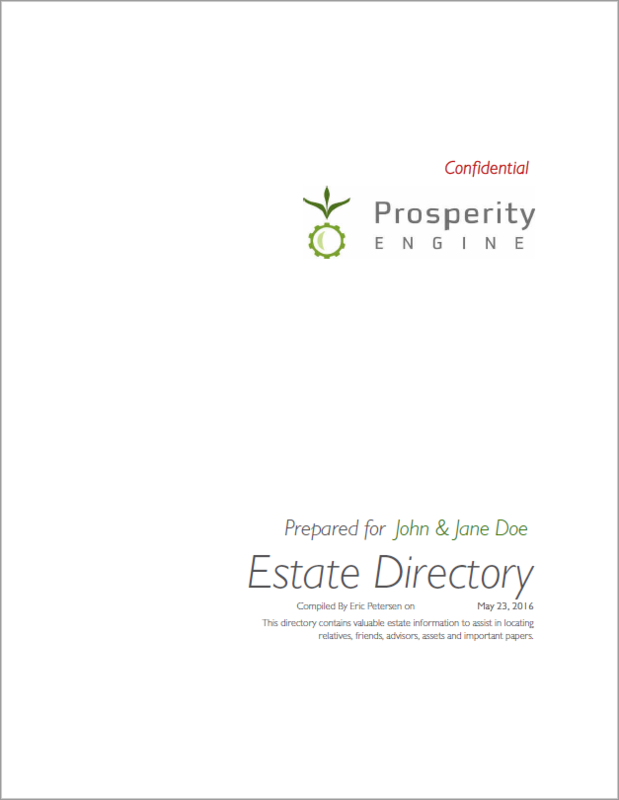 From family members to key advisors, this document is the keystone for an executor who will be tasked with managing and distributing your estate. 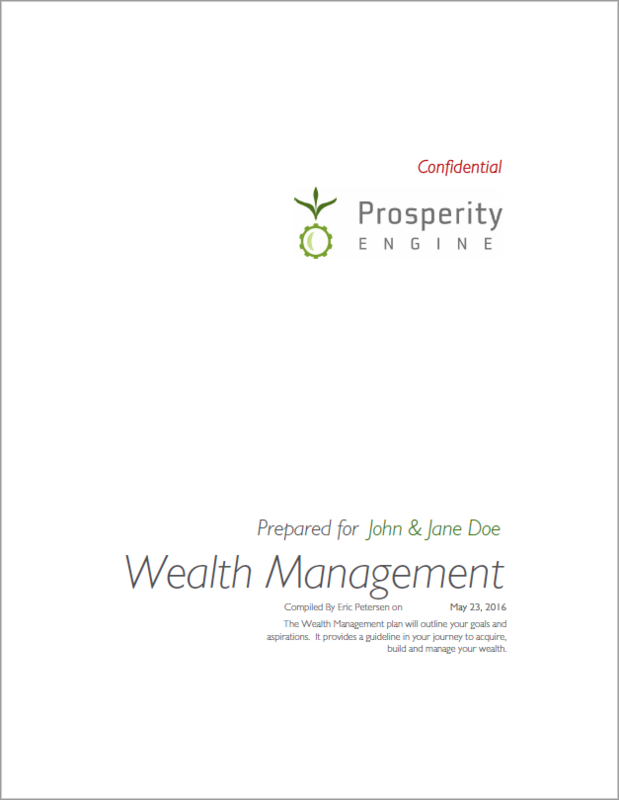 Wealth Management – An easy and concise method to help focus your retirement goals and saving needs. 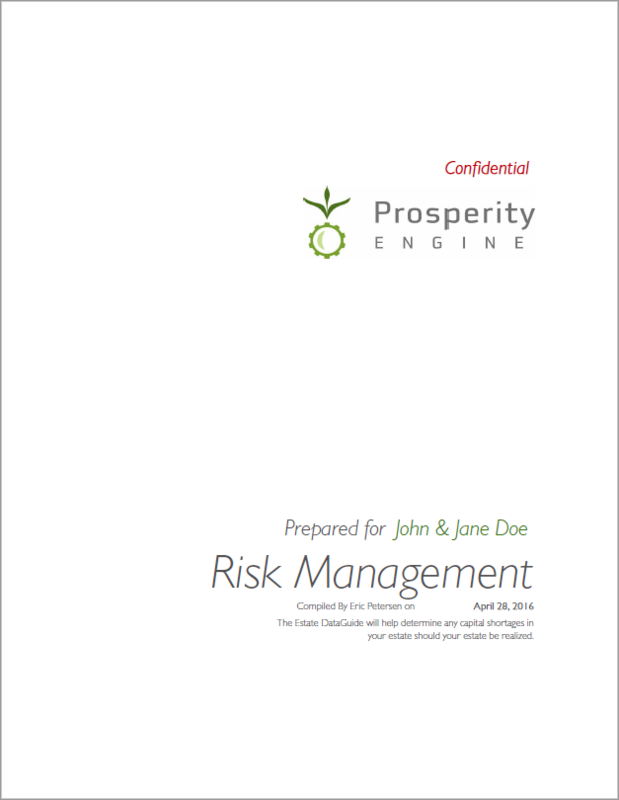 Risk Management – This section outlines both your living and death benefits. In your absence, it helps your survivors understand and carry out your intended plan. 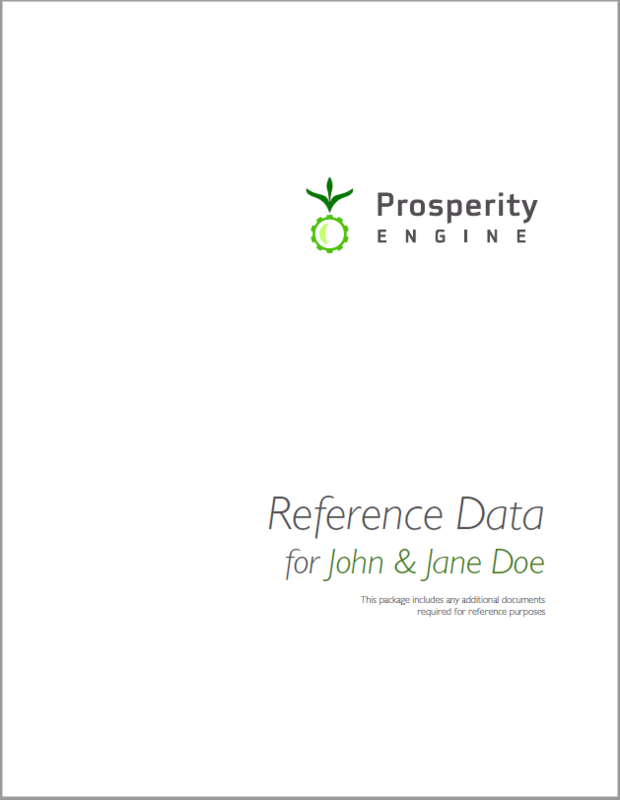 Reference Data – Any important information in regards to your assets: recent investment statements and summaries, asset titles, business registration and agreements (if applicable), and anything else you value. Wondering what each section looks like? 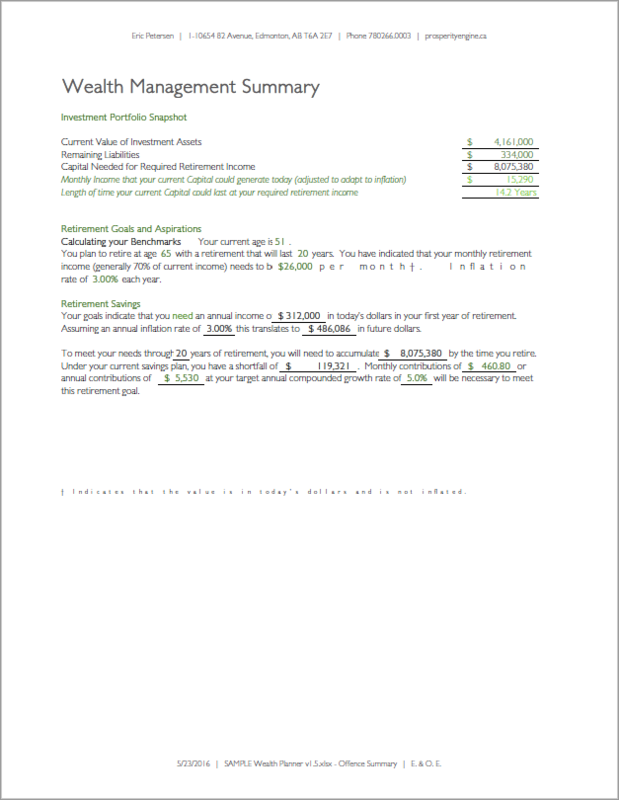 Below you will find more detail on each section and a full sample version of the financial plan in its entirety. We don’t like to think about worst-case scenarios; however, at the very least we should try to prepare ourselves for them in some fundamental way. 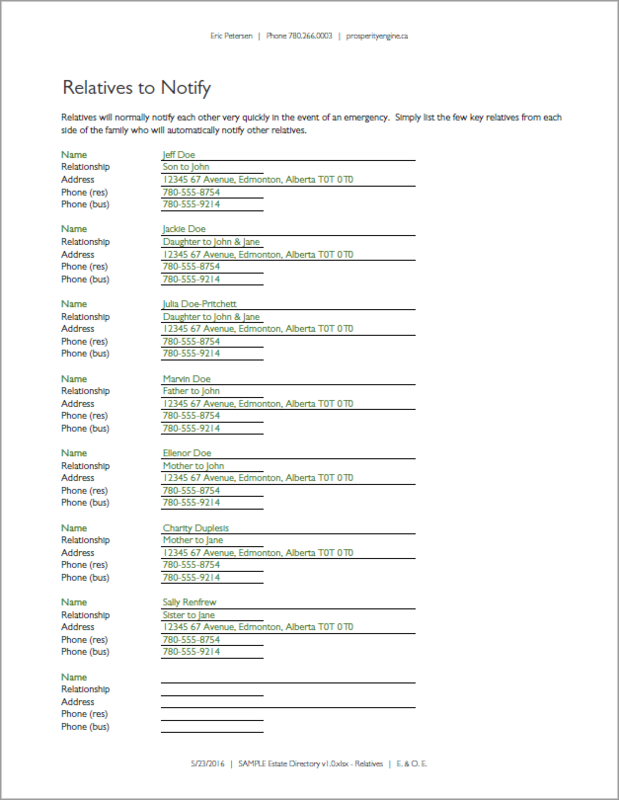 If you’re involved in an accident that leaves you disabled or worse, takes your life, who will be notified? How will others contact the key people in your life? 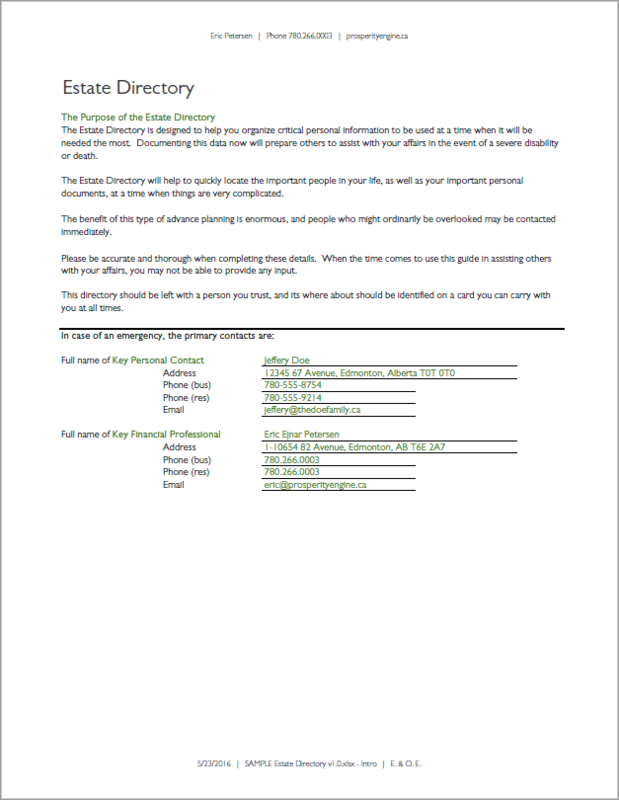 What is the appropriate course of action for personal documents containing important information? 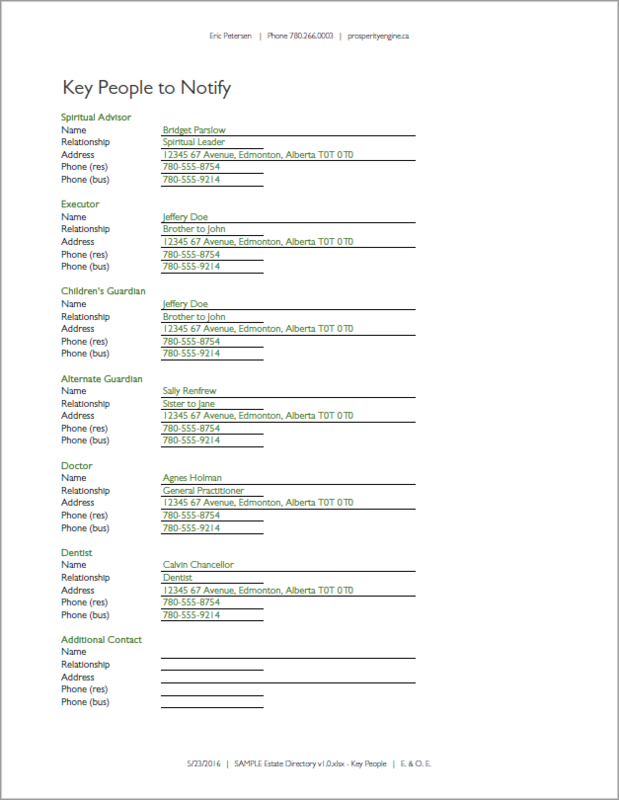 The Estate Directory is designed to help you identify and locate important people in your life as well as to organize critical personal information to be used at a time when it will be needed the most. The benefit of this type of planning is enormous. It ensures that neither key people nor aspects of critical information will be overlooked. As the old adage states, those who fail to plan, plan to fail. When it comes to your finances and securing your future, there may not be better advice to keep in mind. When would you like to retire? 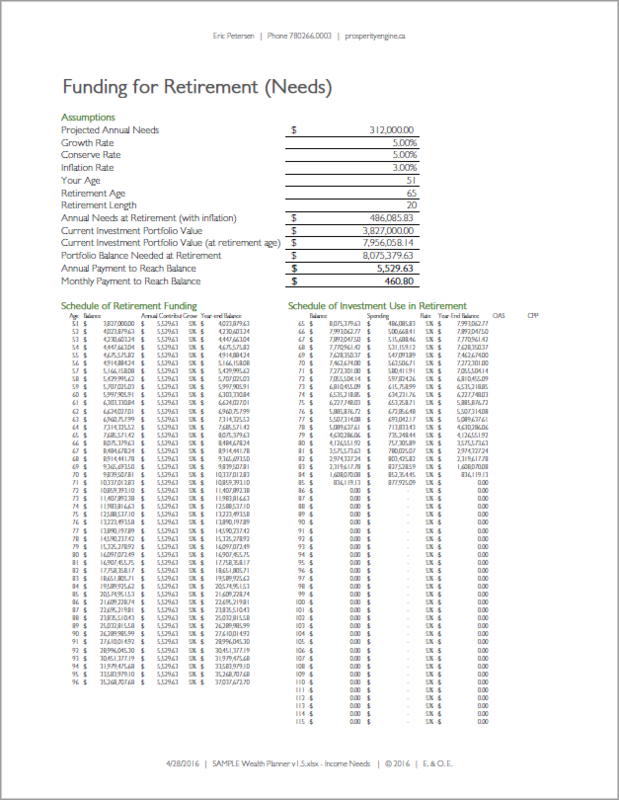 How much will you need to save to retire comfortably at your preferred age? How will you account for growing inflation through the years? The chances are, you’ve thought about these questions before, and perhaps, you’ve even answered them with some rough estimates, which is an excellent start. 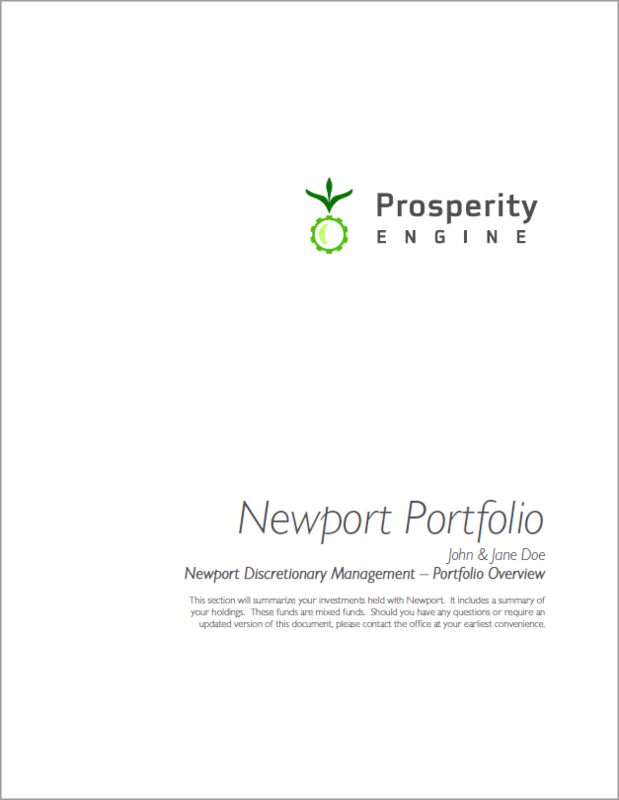 The Wealth Management section helps you take these abstract concepts and turn them into tangible, realistic, yet accurate goals. 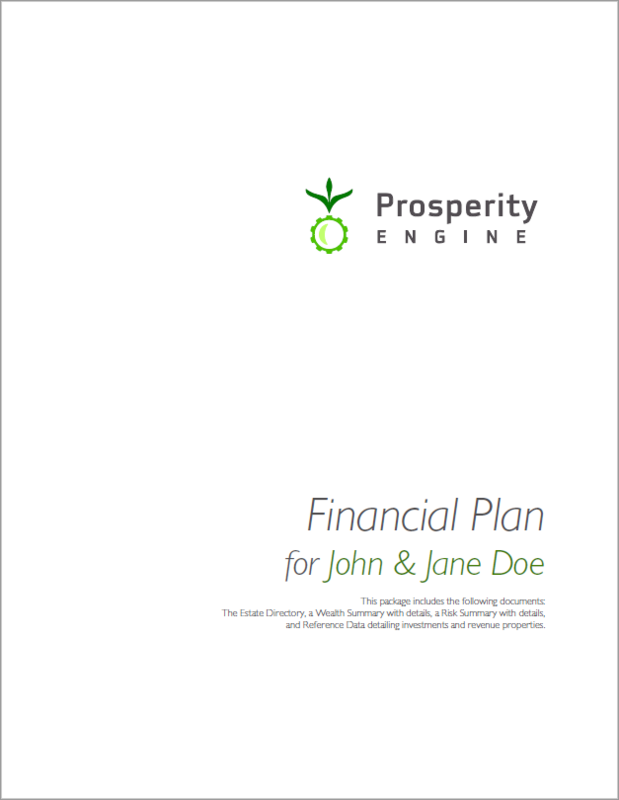 Planning for your financial aspirations and retirement years is easier than you think and will help give you more financial confidence through your life journey. 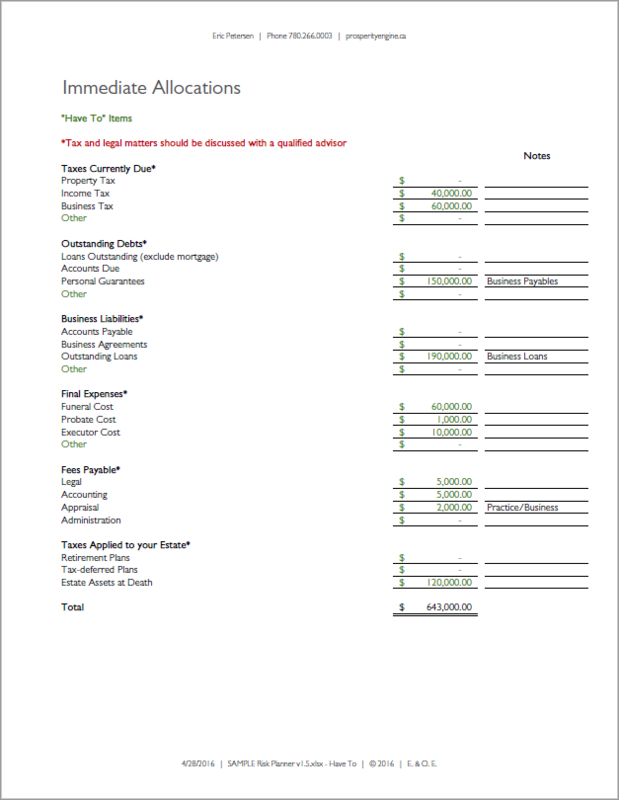 Many people buy insurance policies based solely on arbitrary, one-size-fits-all numbers. My approach to insurance is very pragmatic: get only what you need. Nothing more. Nothing less. 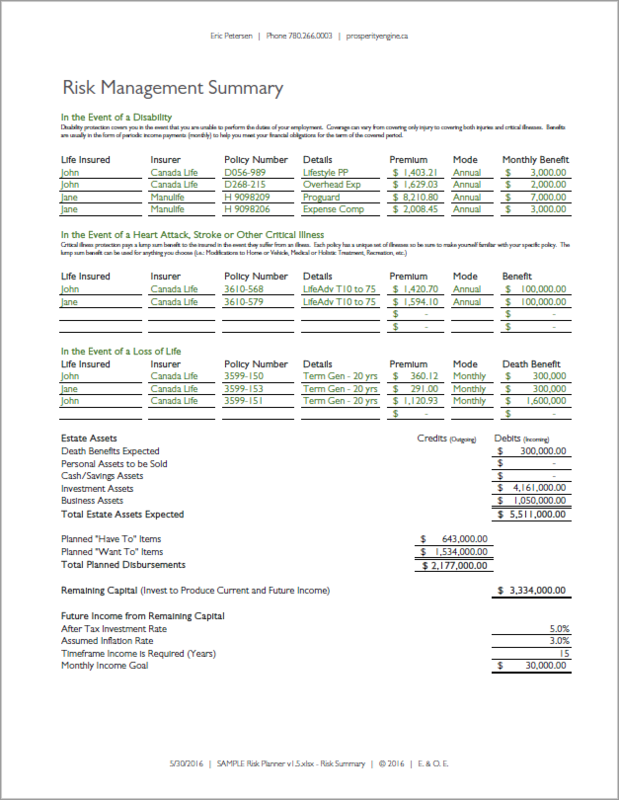 To determine your insurance needs, I use a series of questions designed to clarify the spending needs when an event is triggered. Do you want to pay off your mortgage in the event of your death? What about funding your children’s education needs? Or providing your surviving spouse with an independent income so he or she is able to focus time on raising young children? 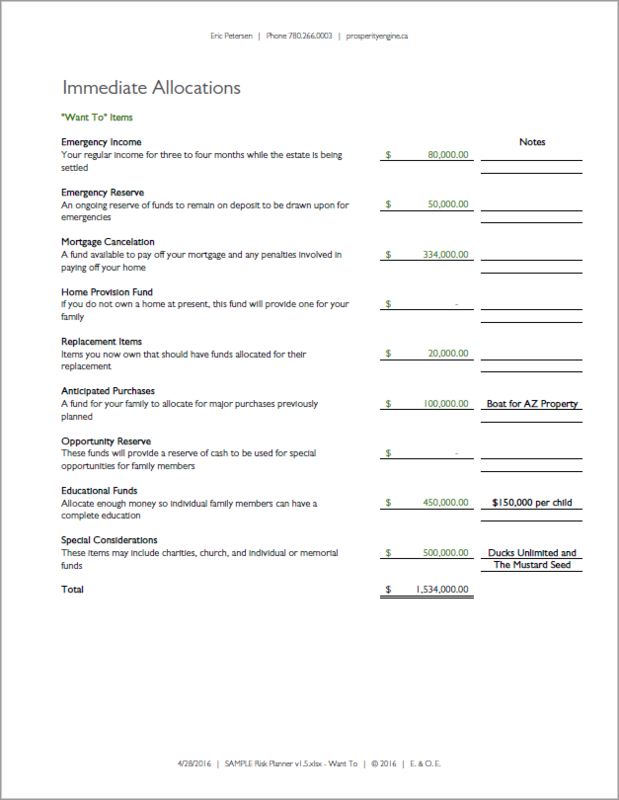 We explore these types of questions to build your plan and to determine just how much insurance you really require. The benefit in planning your insurance needs today is that the people required to contribute to the plan are already here. No one is left trying to make the best decision on your behalf when it’s already too late and during a time a grieving. 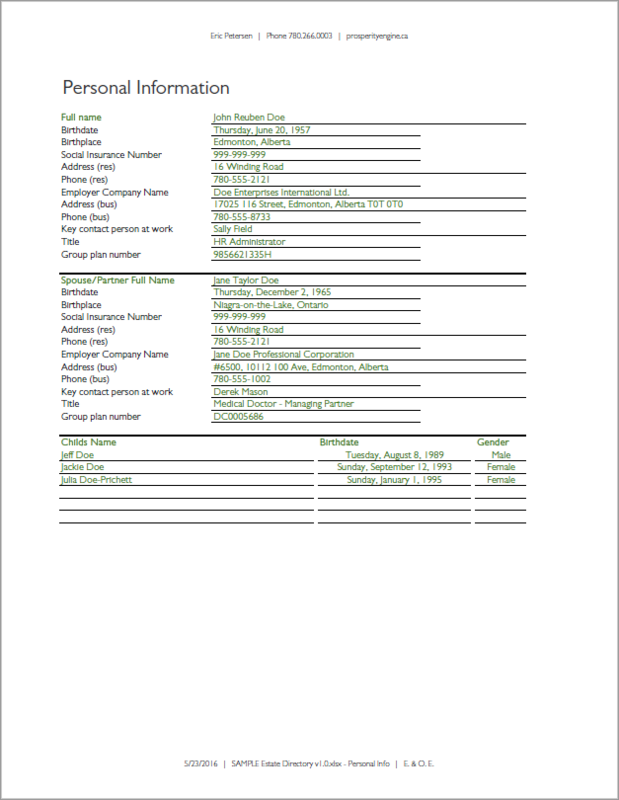 Having a plan set out today gives survivors a roadmap — a guide that ensures they know exactly what you want to accomplish with your insurance policy and how. 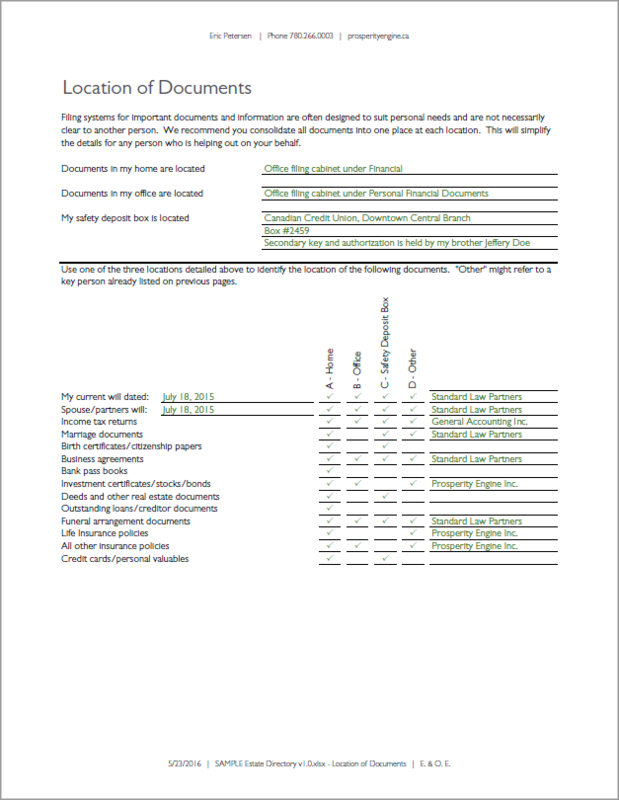 This section of your financial plan contains all the reference information that survivors will need, regardless of how involved they were in creating your plan. 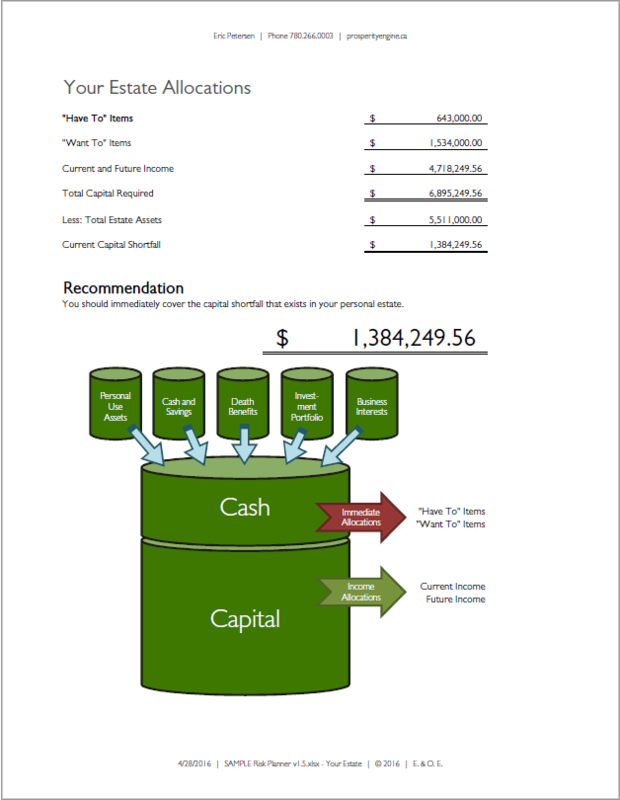 Details for each individual investment. 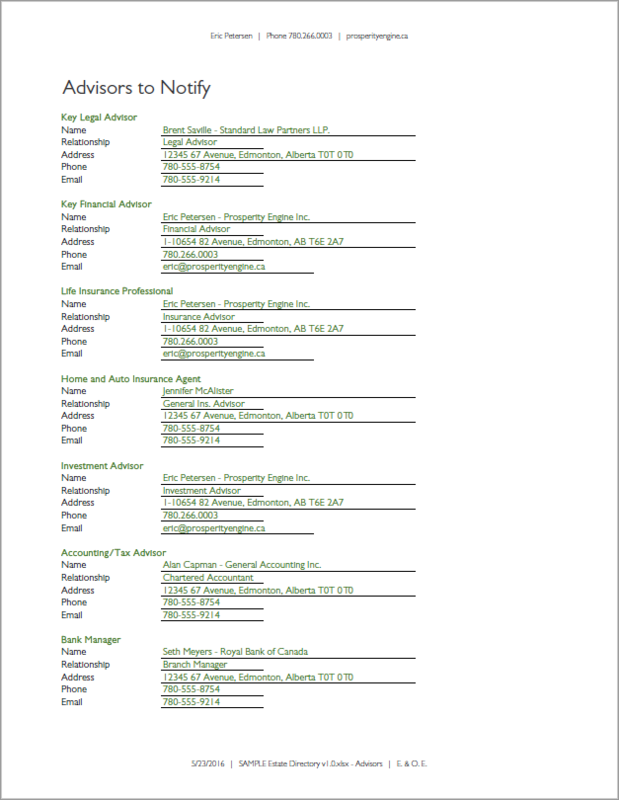 Business agreements and details about corporate and trust holdings. 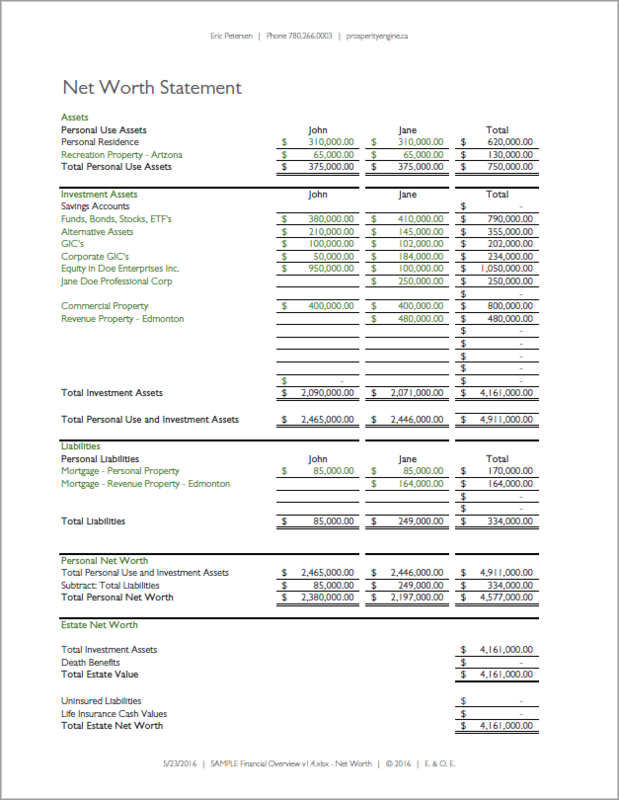 Titles to properties, including recreation and revenue properties. Appraisals for family heirlooms, etc.